Dr. Jennifer R. Jones is a licensed Clinical Psychologist and founder of Columbus Women's Wellness, LLC. Her clinical specialty, women's and adolescent girls' behavioral health, grew from an early academic interest in how gender impacts experiences. Specifically, evaluating gender differences in aggression, self descriptors, mood, and anxiety. These interests developed into a professional passion for applying this knowledge to support women and girls as they journey through various life stages and circumstances. Using therapeutic approaches found by research to be most effective, Dr. Jones employs a unique style of therapy that focuses on the emotional, cognitive, and physiological factors impacting clients' experiences. Although Dr. Jones primarily delivers Cognitive-Behavioral Therapy (CBT), she also employs Interpersonal Psychotherapy (IPT) and Solution-Focused Therapy. She has been providing clinical services for over 10 years. Dr. Jones graduated from The Ohio State University with a bachelor's degree (BA) in psychology. She completed her Master's degree (MA) in psychology at the American University in Washington D.C. then received her doctorate in clinical psychology (Psy.D.) from the American School of Professional Psychology at Argosy University in Arlington, VA. Dr. Jones completed her predoctoral internship and postdoctoral fellowship in community mental health. 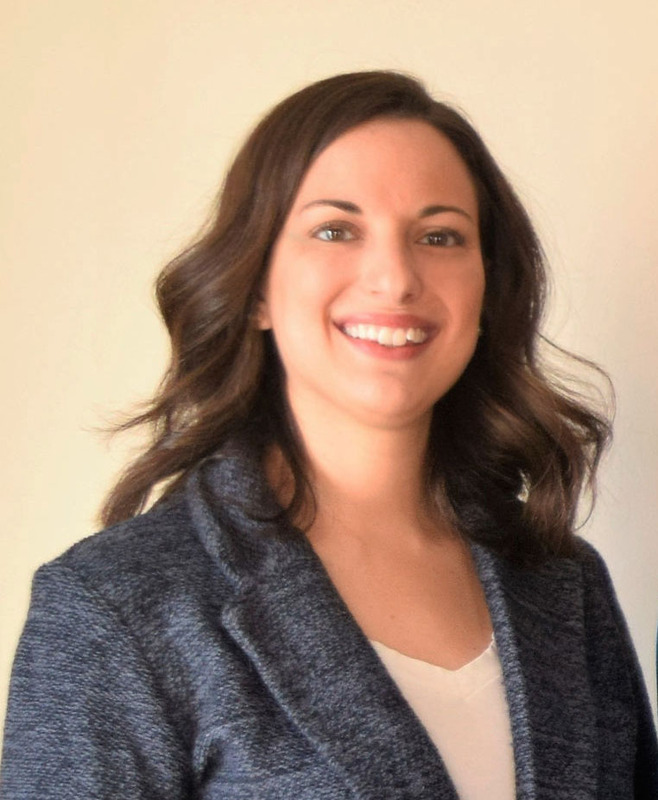 In addition, Dr. Jones is a professional member of the Ohio Psychological Association and is a member of and holds a specialized training certificate in Perinatal Mood and Anxiety Disorders from Postpartum Support International. Dr. Alissa M. Banyasz is a licensed Counseling Psychologist. It is her passion and privilege to support individuals as they navigate life’s challenges. She empowers clients by teaming with them to enhance self-understanding and build upon current strengths and resources. Her therapeutic approach is grounded in creating a safe and nonjudgmental space to explore new ways of thinking, acting, and relating to oneself and others. She tailors her work to each client’s unique personality and goals, reflecting a bio-psycho-social-spiritual approach to psychotherapy. She integrates evidence-based interventions including Cognitive Behavioral Therapy (CBT), Interpersonal Psychotherapy (IPT), and Acceptance and Commitment Therapy (ACT). Dr. Banyasz graduated from Ashland University with a bachelor’s degree (BA) in Psychology and Business Administration and received her doctorate in Counseling Psychology (Ph.D.) from the University of Akron. She completed a pre-doctoral internship at a community-based behavioral health center in Grand Rapids, Michigan, as well as a two-year postdoctoral fellowship at The Ohio State University Wexner Medical Center. Here, she specialized in working with cancer survivors (including those who had been recently diagnosed, as well as those in active treatment and disease remission) and their families. Dr. Banyasz addresses a variety of concerns including depression, anxiety, trauma, interpersonal conflict, grief, and life transitions, as well as issues related to the emotional, physical, relational, and spiritual impact of cancer and chronic illness. Dr. Banyasz is a member of the American Psychological Association's Society for Counseling Psychology, Society for the Psychology of Religion & Spirituality, and Society for Health Psychology. Ms. Rita Messer is a Licensed Independent Social Worker (Supervisor). With a background in community and family systems therapy, she developed an interest in promoting well-being through enhanced self-understanding and acceptance. Ms. Messer approaches psychotherapeutic work with clients collaboratively. This approach allows her to help clients build insight and self-acceptance toward their therapeutic goals. Ms. Messer specializes in working with women and teen girls (14+) experiencing mood disorders including depression, family conflict and transitions, and post-traumatic stress. Ms. Messer provides therapy using evidence-based methods including Cognitive Behavioral Therapy (CBT) and Acceptance and Commitment Therapy (ACT). Ms. Messer received her Bachelor of Social Work and Master of Social Work from New Mexico State University and has been practicing clinically for 10 years. She completed a special study and graduate internship working with survivors of domestic violence. Additionally, Ms. Messer is a Level 1 Gottman Method trained clinician and applies the Gottman Method in her work with couples. Dr. Elizabeth T. Haigh is a licensed Clinical Psychologist who specializes in working with adolescents, adults, and older adults to address a variety of concerns, including depression, bipolar disorders, trauma, anxiety, suicidal ideation, self-harm, relationship difficulties, adjustment to challenging life situations, and life transitions. As an intrinsically passionate and patient-centered clinician, Dr. Haigh collaboratively and compassionately supports individuals wanting to improve themselves and the quality of their lives. She utilizes an approach that considers the interactions between individuals’ thinking, emotions, behaviors, physiology and environment to best understand their presenting concerns. In the therapeutic process, she focuses on maintaining a balance between acceptance and change. She integrates evidenced based interventions, including cognitive behavioral therapy (CBT), dialectical behavior therapy (DBT), and cognitive processing therapy (CPT). In addition to these therapeutic interventions, she empowers individuals by encouraging them to connect with the present moment, commit to their values, and utilize their unique and personal strengths. Dr. Haigh graduated from John Carroll University in University Heights, OH with a bachelor’s degree (BS) in Psychology and Sociology and received her doctorate in clinical psychology (Psy.D.) from Xavier University in Cincinnati, OH. She completed a pre-doctoral internship and post-doctoral training at the VA Western New York Healthcare System in Buffalo, NY, where she specialized in treating individuals with dual-diagnoses, including posttraumatic stress disorder and substance use disorders. Dr. Arbolino is a school psychologist who provides support to families and children attending both public and private schools to help them effectively access or evaluate appropriate services. At CWW, she specializes in working with teen girls with emotional behavioral disorders and social skill deficits. In addition to school advocacy, Dr. Arbolino helps families navigate school services. Dr. Arbolino has served as a classroom teacher, counselor, and school psychologist for public and private schools for over 20 years. She has worked as a behavior therapist, consultant, and teacher trainer. For over 15 years, Dr. Arbolino has taught both undergraduate and graduate classes in education. She worked at Centennial School of Lehigh University where she trained graduate students in special education and consulted with teachers to effectively service students with emotional-behavioral disorders. In addition to her work at Nationwide Children's Hospital (Columbus, Ohio) where provided consultation services to school districts and clinical counseling to families and children on the Autism Spectrum, Dr. Arbolino has provided clinical services to individuals of all ages across several practice settings. Dr. Arbolino received her Masters in Counseling (M.A.) from New York University and her doctorate in School Psychology (Ph.D.) from Syracuse University. Her research examines academic and behavioral interventions for students with special needs and provides training to professionals to implement these interventions. Dr. Arbolino has presented at numerous national and international conferences on these topics and has published several articles and book chapters related to behavioral interventions and training professionals to implement these evidence-based strategies. Dr. D’Andria Jackson is a licensed Clinical Psychologist dedicated to nurturing women in need of replenishment and empowerment. Dr. Jackson specializes in the treatment of depression, anxiety, interpersonal trauma, adjustment difficulties, life transitions, and issues related to diversity. She establishes a comprehensive understanding of each client through the exploration of critical biological, social, and psychological factors associated with their life experiences. This approach establishes a solid foundation for psychotherapy. Dr. Jackson believes therapy is a collaborative and active process. As such, she works closely and intentionally with her clients to develop a personalized therapeutic plan integrating evidence-based and practical interventions. Dr. Jackson’s therapeutic interventions include cognitive behavioral therapy (CBT), interpersonal therapy (IPT), and problem-solving therapy. Trauma related treatment interventions include the use of cognitive processing therapy (CPT), prolonged exposure therapy (PET), and trauma-informed treatment. Dr. Jackson graduated with a bachelor’s degree (BA) in Counseling Psychology from Oakwood University in Huntsville, AL. She completed both her Masters (MA) and Doctorate in Clinical Psychology (Psy.D) through the American School of Professional Psychology at Argosy University in Washington, D.C. As a recipient of the United States Navy Health Professions Scholarship in Clinical Psychology, she completed her predoctoral internship and postdoctoral training at Naval Medical Center Portsmouth in Virginia. Dr. Jackson has over 10 years of clinical experience. She proudly served on active duty in the U.S. Navy for over seven years before making a transition into private practice. Dr. Jackson is a member of the American Psychological Association and the National Register of Health Service Psychologists.